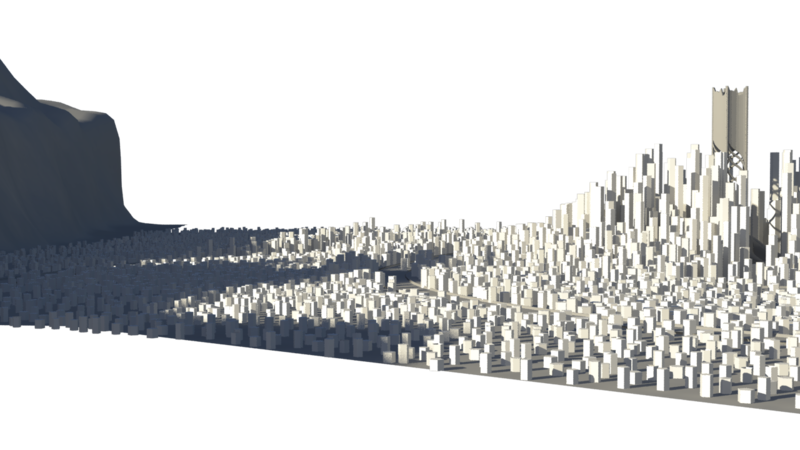 Break Summary: I kept tweaking the city scatter, and also added some code to make it scatter pre-defined buildings instead of just scaling a cylinder mesh. I also worked on our rendering setup, getting in touch with IT to make sure the farm is working as well as it needs to. Summary: I further refined the city scatter in xGen, and wrote an expression for it to choose from pre-defined building models based on the desired size. This means that it’s all ready to go, technically speaking, and we just need to make some building models for it. Positives: The hardest part of making the city is done, and now we just need to make a few building variations for it to use. Summary: I spent a little bit of time checking up on the render farm, making sure it’s good to go in the coming term. It’s not yet, but it should be totally operational within a few days and we can begin rendering our project this term. Positives: We’re on track to begin rendering early in the term. Negatives: I still can’t work out a finalized project hierarchy without the farm working, and even though it should be fixed soon, it should’ve been fixed quite a while ago.